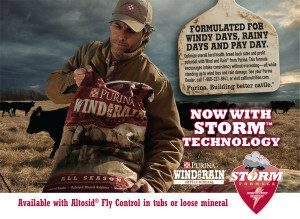 Watch the video below to see the difference between Wind and Rain® Storm® cattle mineral and a non-weatherized version. Stop by Lochte Feed in the Hill Country today and let our experts help you find the perfect cattle mineral for your herd. This entry was posted on Sunday, January 13th, 2019 at 10:35 pm	and is filed under News & Updates. You can follow any responses to this entry through the RSS 2.0 feed. Both comments and pings are currently closed.